Puerto Galera has the most bio-diverse marine species in the world. This small town has several diving spots ranging experiences from beginners to pro. The resort is blessed with a house reef just off the front which is only a swim away from the shore. This reef is the resident of not just one, but two sea turtles and a baby sting ray, as well as some nemos and different variety of fish. During the month of November-December, the beach of Aninuan serves as the laying ground / nest for one or two sea turtles. Truly a moment worth keeping. 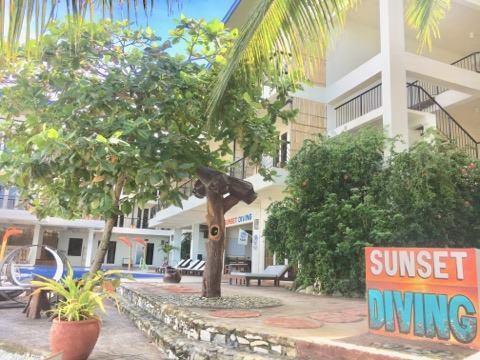 The resort's in house PADI certified dive centre offers different courses from basic to advance open water.